The key to better mental health and more creativity is to spend time all by yourself, according to a recently published study. 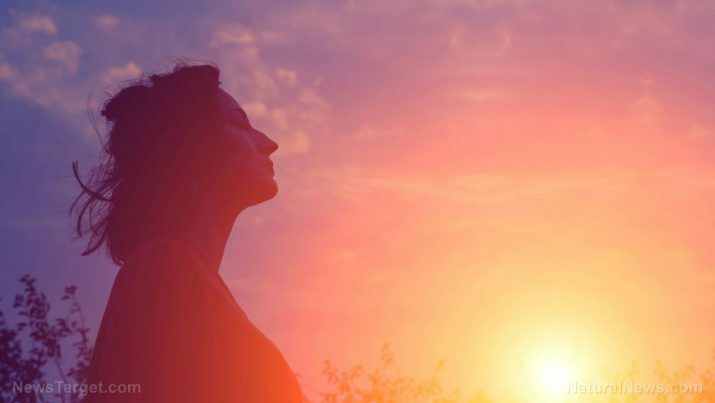 While looking for solitude can lead some to believe there is an underlying mental health issue, researchers at the University of Buffalo have found that being alone also has huge benefits, particularly for those who are trying to spark creative juices. Researchers talked to 295 individuals who said they preferred privacy and who also gave a number of reasons why they like to spend a lot of their time alone. Those ranged from fear and increased anxiety around other people to wanting to spend alone time working on a hobby or craft, StudyFinds.org reported. A body of previous research has suggested that spending too much time alone is not healthy — mentally or otherwise. But some activities are definitely beneficial when going it alone, like trying to connect with nature, biking and jogging trails, or just trying to get a better sense of yourself, the Buffalo researchers found. “We have to understand why someone is withdrawing to understand the associated risks and benefits,” said Julie Bowker, the lead author of the study, in a press release from the university. That said, more recent research, including her study, is beginning to recognize benefits from spending time alone, provided the choice is made intentionally and based on positivity. Designating such individuals as “unsociable,” Bowker said, overlooks the fact that some people may simply enjoy being alone to read, browse the Internet, or spend time doing other things they enjoy. What is also becoming apparent is that those who like to spend more time alone are not at increased risk for bad health. Just the opposite, in fact: Researchers have discovered that alone time has positive effects on creativity. To be sure, she and other researchers note that there are less healthy forms of self-isolation including social avoidance — where a person chooses not to be seen out of fear of interaction — and social withdrawal, such as in the case of shyness. And while these two conditions may tend to be described as unsociable behavior, neither appear to confer benefits seen in Bowker’s study. “Over the years, unsociability has been characterized as a relatively benign form of social withdrawal,” Bowker noted further. “But, with the new findings linking it to creativity, we think unsociability may be better characterized as a potentially beneficial form of social withdrawal. The study’s findings were published in the journal Personality and Individual Differences. Spending alone time reading books can actually extend your life as well. As reported by MindBodyScience.news in August 2016, a study by a team of Yale University researchers found that book readers have a “significant survival advantage” over non-book-reading peers.